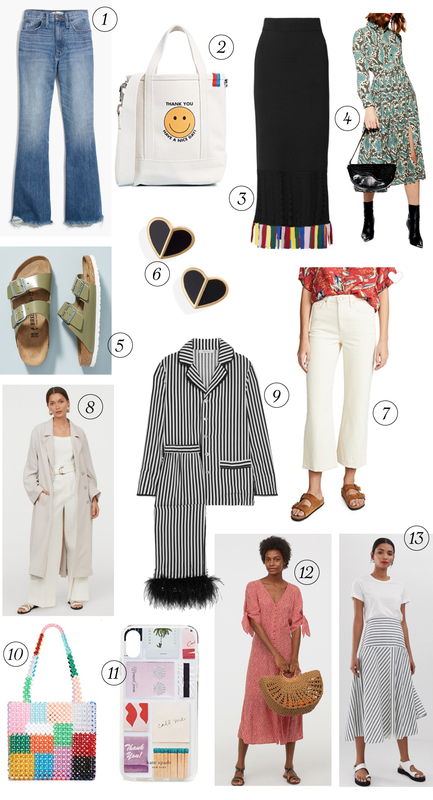 i’ve been off the shopping interwebs for a while, so it was fun (and v. dangerous) to dive back in this week to see all the spring newness that’s blooming. 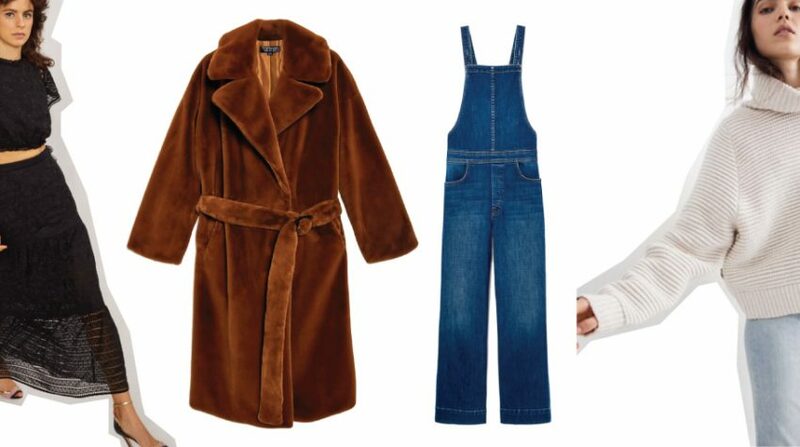 a few things we’re can’t do without this season if we want to have the look of ‘it’ about us – and that’s a spring trench, a cropped flare jean, a utility sandal with a twist and a middle-school inspired handbag. i’m not a doctor, but i do play a blogger on ig, so trust me. 1 – this madewell flare feels new for warmer weather and spring sensations. i’m going to go try it on this weekend – will be especially cute paired with my fave converse, or a new pair of birks. 4 – animal print everywhere is still going strong for the spring, and i love how this green python dress feels a little lighter. it’s attractive with the sock boot, but i think you could do it every day for now a sweater around your shoulders and a cute sneaker. 6 – a simple stud is about all i can swing these days. it’s just too much to do all the switching out so i’m preferring earrings that can go the distance. 9 – pretty pjs are the thang this sprang – #selfcare right? 10 – i can’t stop with this bag. i haven’t bought one but it seems to be inevitable b/c it’s just so dang cute, i keep coming back. 11 – kate spade can reinvent the iPhone case like no other. 13 – same with this skirt. and easy add for spring, and you can wear it day or night.